Foster Adams is a native of Connecticut. He is a strong, earnest man, and though born on an oft icy coast, seems also well adapted to endure the hot latitudes of Washington DC, his flesh being hard as twice baked biscuit. He has been a philosopher, a paramedic, and a student, though with steadfast and unyielding effort he has risen within the ranks of resident physicians to become Chief. Looking into his eyes, one seems to see there yet lingering images of those thousand-fold perils he had calmly confronted through life. A staid, steadfast man, whose life for the most part has been a telling pantomime of action, and not a tame chapter of words. Yet, for all his hardy sobriety and fortitude, he nonetheless retains a certain softness and tenderness, upon which he does indulge on rare occasion. He spends his free time sailing, frolicking with his dog, and reading (Melville, largely). While he labors as Chief, Foster is presently also applying for fellowship in the field of Pulmonary and Critical Care Medicine, which he has discovered to be that field which uniquely matches not only his coarse and rugged constitution, but also his sharp intellect. Georgetown has molded him into the young physician he is today, and he couldn’t be more excited for his chief resident year as one of the inpatient chiefs at Georgetown and Virginia Hospital Center. He plans to pursue a career in primary care and will likely stay local – that is, unless DC can find a way to kick him out! Megan is originally from a suburb of Minneapolis, Minnesota where she grew up cheering loudly for the Vikings, eating hot dish, and saying “Yah you betcha”. She moved south to Milwaukee, Wisconsin leaving the harsh winters behind to attend Marquette University for undergrad where she met her husband. She moved out to Washington, DC following graduation to complete an Americorps volunteer program through the Capuchin Franciscans working with the Hispanic immigrant population at a medical/dental clinic. She fell in love with DC and the idea of living in a place people actually want to come visit, so she stayed for medical school at Georgetown University. The Georgetown family pulled her in—she stayed for residency and when that was finished, still wasn’t ready to leave so stayed on as a chief. She is now applying for fellowship in Endocrinology and Metabolism. Sebastian Ochoa is the first Colombian to make it to Georgetown Internal Medicine. After graduating from medical school in Medellin he took some months to learn how to play golf. His efforts were futile and eventually had no choice but to become an internist. He immigrated (legally, of course) to the US in 2013. Despite his former tropical lifestyle he managed to survive the 2015 Boston blizzard while doing research at Beth Israel Deaconess Medical Center, and then went on to endure 3 more winters at Georgetown, eventually staying one more year as ambulatory chief. As an intern he won an award for his research in pulmonology, but he has always been an immunologist at heart. Sebastian is now applying to allergy immunology fellowship. Heather Hopkins is a true California girl. She grew up hiking and camping in Yosemite National Park and surfing off of the coast of Orange County. After completing her undergraduate degree in Biology/Physiology at CSU Long Beach (Go Beach! ), she made the 3,000 mile trip to the East Coast and fell in love with Georgetown and her fiancé, who just happens to be an even bigger Green Bay Packers fan than she is. She is now a triple Hoya, having finished her master’s degree in Physiology and Biophysics at Georgetown University, followed by medical school and then residency with the best co-residents in the world. 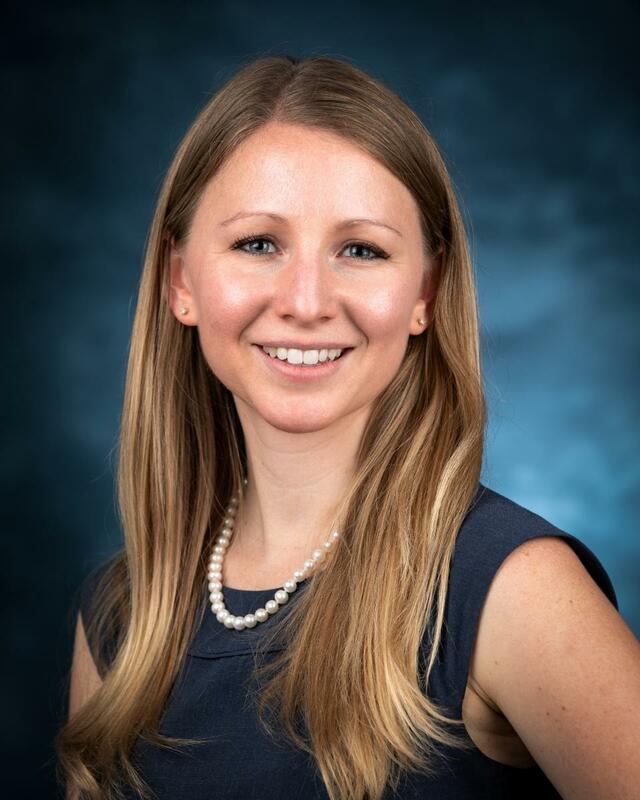 She is proud to call herself part of the Georgetown family and now looks forward to a fantastic year as Chief Medical Resident at the DC Veterans Affairs Medical Center. She is currently applying for fellowship in Gastroenterology and hopes to someday prove that red wine is a superfood. Mike Serzan hails from the great state of New Jersey where he spent many summers lifeguarding with his four siblings and cousins at the jersey shore. After 8 years of Jesuit education and one year as an outreach specialist for men and women experiencing homelessness in DC, Mike returned to NJ for four fantastic years at Robert Wood Johnson Medical School. 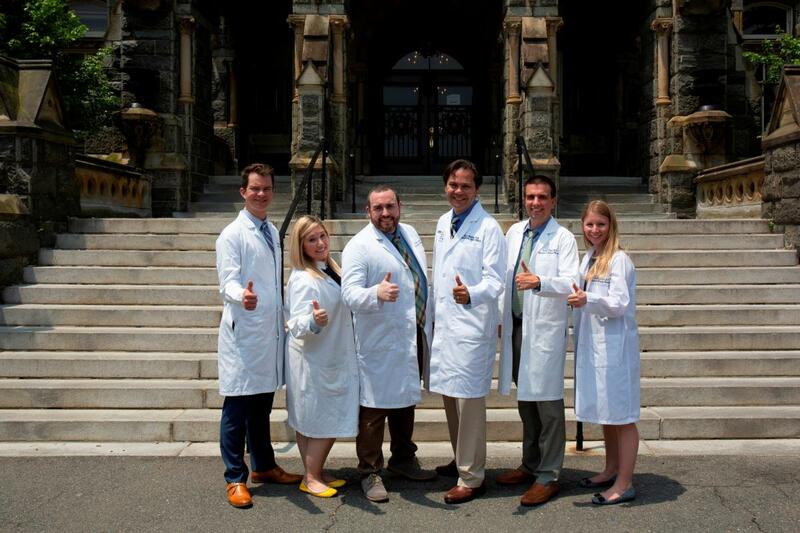 Mike was drawn to Georgetown for its motto “Cura Personalis” which translates from Latin as “care for the entire person.” Over the past three years, he has become a part of the rich tradition of excellent clinical and research training with the best co-residents and faculty he could imagine. He is thrilled to be a chief resident at the VA Medical Center where he plans to focus on serving our nation’s veterans, medical education, and quality improvement. He is applying for Hematology/Oncology fellowship with particular interests in Medical Oncology, health disparities, immunotherapy, and patient-physician communication. In his free time, Mike enjoys running/biking around DC, reading everything he can get his hands on, and exploring new restaurants.